Mobile phones have grown to become a permanent companion and personal device for most people in the last few years. For the market research industry it is vital to take advantage of the opportunities that mobile phones and mobile communication technologies provide. 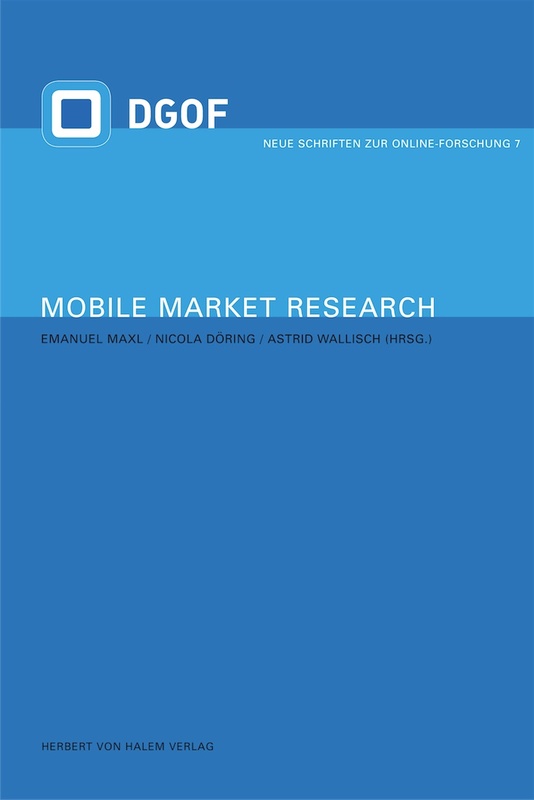 Mobile market research is the generic term for research methods using the functions of mobile phones with and beyond voice telephony. One crucial benefit of the use of mobile phones in research is the better availability of people who are difficult to reach by fixed-line phones, face-to-face or by post. The most relevant advantage of mobile methods refers to the nature of context-sensitivity i.e. to get immediate feedback from people about their situations and activities as they occur. International authors, amongst others from the US and UK, present state-of-the-art viewpoints about mobile phones as research instruments. 352 S., 80 Abb., 52 Tab., engl. Einschränkungen der Datengüte durch ein ›reduziertes Kommunikationsmedium‹?